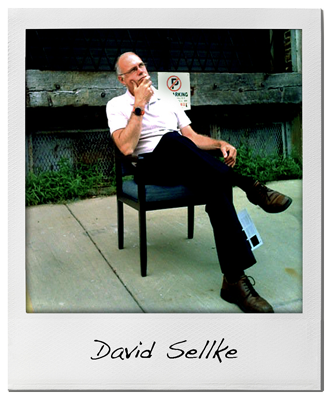 David Sellke is Vice President for Ideation Studio, having been associated with the firm since 2001. During his career, David has worked with a variety of large and small businesses, corporations, institutions, and manufacturers, building a broad base of design/management experience that has proven essential to the analysis, direction, and visual expression of his clients’ marketing and business objectives. Specializing in retail planning and design for business, David has a combined 31 years of creating and managing projects in the areas of visual communications, retail sign systems, visual positioning, site planning, environmental design, and brand concepts. He has distinguished himself in managing the design development of new store prototypes, brand communications programs, as well as updating existing store-merchandising programs. Mr. Sellke has made significant contributions with major companies in the hard lines category. Working in collaboration with Sears, he has led the design effort to produce a unique sales approach to Tool and Home Fix-up sales culminating in a number of test retail facilities. Other retail initiations include repositioning Barrett’s Home Theater into a stand-alone destination store concept. Additional hard line visual communications and design projects include ACDelco, GM, Kitchen Etc. (Boston), Home Pro Home Improvement Centers (Bangkok), Boat US Marine Stores, Amoco’s Certicare Centers, and Goodwrench Service Centers. David has developed and implemented design systems for numerous food-retailing clients. Representative prototype formats include Von’s Foods, Publix, Harris Teeter, Ukrop’s and Baker’s Foods. Additional retail clients include Payless Shoe Source, Parade of Shoes, and Phillips Van Heusen. A graduate of the University of Illinois, Champaign/Urbana with a Bachelors Degree in Industrial Design, Structural Emphasis. His hobbies include bicycling and hiking.